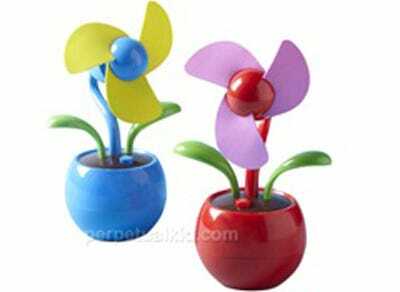 How about a brand new and cool Flower Power USB Fan that will easily bring a bit of the outdoors indoors?! It seems to me – the fan is a fantastic idea. Just have a look – the cheerful flower petals rotate to provide a gentle flow of air, the on/off button is easily accessible and .. the most important thing … you breeze really fresh air!!! The flower fan comes with 3 AA batteries. What is more, it has a USB power line with the option of using a computer as a power source.